One million pounds is a lot of money. It’s more than enough for most people to retire on, and becoming a millionaire remains a long-term dream for many. That’s why I’ve chosen one million pounds as the new long-term goal for the UK Value Investor model portfolio. Of course, any idiot can set a goal. What matters is whether or not you can achieve it. Is a million pound portfolio an achievable goal? I’m a fan of SMART goals, which are Specific, Measurable, Achievable, Relevant and Time-bound. One million pounds is definitely specific and measurable. It’s also relevant as it will produce a nice retirement income given an entirely realistic dividend yield of say 4% (for a £40,000 annual dividend income). But is a million pound portfolio really achievable before retirement at 65? Of course, it depends on when you start and how much you start with. If you inherit £500,000 when you’re 18 then reaching one million pounds by the age of 65 is going to be pretty easy. But if you’re still at zero when you reach 50 then achievable may not be the best word to describe your millionaire dream. In terms of my model portfolio, the answer is £50,000. That was the value of the portfolio when I launched it back in 2011. I chose £50,000 as the starting point because I think that’s a reasonable minimum size for an actively managed portfolio of shares. If you don’t have that much then I would suggest you save hard and stick to passive index trackers until you reach that sort of amount. Okay, perhaps £20,000 or £30,000 might be enough to start buying shares rather than funds. But you really do need at least that sort of amount so that the fixed costs of buying and selling shares (mostly broker fees of around £10 per trade) don’t hobble your returns. I launched the model portfolio in 2011 when I was 39. I think a £50,000 investment portfolio at 39 is achievable for a lot of people, although perhaps not most (my real world portfolio is larger than the model portfolio through a combination of sensible saving and luck in the housing market). I think most people (or at least most households) should be able to build a £20,000 or £30,000 investment portfolio by the age of 40. So if I’m to grow this model portfolio to one million pounds before my 65th birthday, I need to do it in a total time of just 26 years (six of which have already passed). And unlike a real world portfolio, the model portfolio doesn’t benefit from additional savings. It’s a closed portfolio with no additional cash going in or out (although all dividends are reinvested). This makes the task of reaching a million pounds that much harder. But that’s okay. I like a challenge. My wife thinks this million pound goal is crazy, and she could be right. But in the end it all depends on the portfolio’s doubling time. Turning £50,000 into a million pounds may seem like an insurmountable mountain, but if you look at it from the point of view of doubling your money it becomes a lot less scary. The first doubling adds £50,000 – My model portfolio will have grown to £100,000, which really doesn’t seem like much compared to the goal of a million pounds (in fact, at its most recent quarterly review the model portfolio almost hit this milestone, so the first doubling is pretty much in the bag). The second doubling adds £100,000 – This takes the portfolio to £200,000, which is still nowhere near a million. 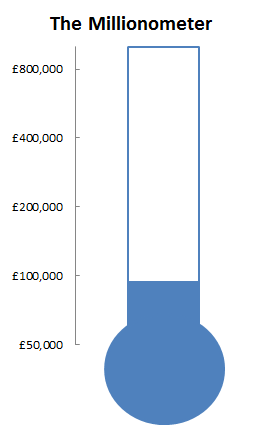 The third doubling adds £200,000 – Now we’re getting somewhere. The portfolio reaches £400,000 and is almost halfway to a million. The fourth doubling adds £400,000 – This doubling sees the portfolio jump almost to the finish line, at £800,000. The final 25% jump from £800,000 to millionaire status should only take two or three years, with a bit of luck. After that it’s mansions, Bentleys and a comfortable retirement all round. So going from £50,000 to one million pounds takes just four and a quarter doublings. If a portfolio’s growth rate is (approximately) constant then each doubling will take (approximately) the same amount of time. The fourth doubling will add a massive £400,000 to the model portfolio. But with a consistent growth rate it will take the same amount of time as the first doubling took to add just £50,000. This is the magic of compound growth. Focusing on how many doublings you have left is more useful than focusing on your portfolio’s current value versus its target value. Why? Because when you reach £100,000 it’s easy to think you’re only one tenth of the way to a million. But in terms of doublings, you only have three and a quarter to go. Rather than being one tenth of the way to a million, in terms of doublings the portfolio is already almost one quarter of the way there. That makes me much more motivated to get the next doubling, and the next, and the next. The next question is: How long will each of those doublings take? Thanks to the rule of 72, it’s quite easy to estimate the number of years it would take for an investment to double, given a fixed annual rate of return. For example, if you put £50,000 into a savings account with a 2% interest rate and reinvest all the income, the investment will double in approximately 36 years, i.e. 72 divided by 2. At that pace it would take 153 years to go from £50,000 to a million, so don’t count on becoming a millionaire if you expect your portfolio to grow at 2% per year. A more realistic rate of return for shares is 7% a year. That’s what the UK stock market has returned historically (based on inflation of 2% and real returns of 5%). With returns of 7% a portfolio will double in just over 10 years (72 divided by 7). A passive index-tracking portfolio growing at that historically average pace would turn £50,000 into one million pounds in about 44 years. That’s way outside the 25-year timeframe I’m looking for. If I’m going to get this portfolio to a million before I’m dead, I’ll have to speed things up a bit. To speed things up I’m trying to generate a higher rate of return than the market average of 7%. Currently, my long-term target rate of return for the model portfolio is at least 10% per year. At 10% per year a portfolio would double in just over 7 years (72 divided by 10) to double the portfolio and just over 30 years to go from £50,000 to one million pounds. Just going from 7% to 10% per year shaves more than a decade off the time it takes to go from £50,000 to a million. As they say at Tesco, every little helps. But 30 years still leaves me reaching the million pound mark at 69 rather than 65, so is it possible to get more than 10% per year? Perhaps. Personally, I think the most the model portfolio could return is about 15% per year over the long-term. This is, after all, a high yield, low risk “defensive value” portfolio. I don’t want to aim for 20% per year and end up losing the lot. If the portfolio does grow at 15% per year then the doubling time shrinks to just under five years. At that pace the million pound mark would be reached after just 20 years. As I said at the outset, this is a long-term goal. And yes, 20 to 30 years is a long time, but the time is going to pass anyway, so why not try to make a million along the way? A million sounds nice in theory, but what about reality? I’m assuming the portfolio can return 10% to 15% over 20 to 30 years. That’s 20 to 30 years of market-beating returns. Is this realistic, or am I just dreaming? To be fair, this has been achieved in a relatively benign environment in which the FTSE All-Share has produced annualised returns of 11.7% compared to its expected long-run return of 7% per year. But still, based on the evidence of the last six years, I think a 10% to 15% rate of return is achievable, and therefore so is the million pound target date of 2031 to 2041. That’s just 14 to 24 years away, so no pressure then! Long-term goals are important, so what are yours? I feel happier now that I have a very long-term goal for the model portfolio. Aiming for a million pound portfolio before my 65th birthday gives me something to aim for as the years tick by, rather than just doing my best, but with no real point at which I can say “yes, I’ve done it”. Hopefully you have a long-term investment goal as well, one that’s appropriate to your own personal circumstances. And if you don’t have one, then why not think about setting one now? 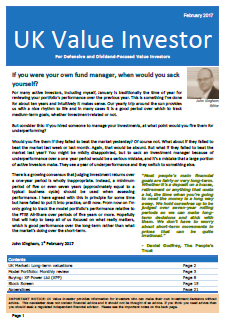 Good luck with the million-pound portfolio, John – it certainly looks doable in the time frame you have. I hit my £100k goal recently, which took me a long time to get to, so the ‘doubling’ up to £200k should in theory be quicker, with dividends reinvested, helped by new capital being added too. Love the Blue Peter style thermometer! Hi weenie, well done on the £100k landmark. Also, congrats on your new job; hope you’re enjoying it, or at least find it interesting (or tolerable?!?). Let’s see who hits £200k first! Thanks John. Yes, the new job’s interesting and I’m starting to enjoy it now that I kind of know what I’m doing – a sign that I’m settling in! Oh my – I’m going to have to accept that £200k challenge, aren’t I? Doubling through returns alone though would be a massive achievement – it’ll be most interesting to follow your progress. So zero to £882,000 n 20 years looks ok? Asking for a friend. Hi Peter, in the real world it will depend on what sort of cash contributions your friend is going to add to the portfolio. The easiest way to work this out is with a spreadsheet. Just plug in an annual savings contribution, add that to the running total and then multiply by a reasonable estimate of annual returns. Repeat that for 20 years (20 rows in a spreadsheet) and see what comes out as the final total. Lars is doing a video series on how to build your own spreadsheet – 9 videos so far. Great article and very relevant. I am nearly at €200k and aiming to hit €1.5m whilst making monthly contributions of €1.5k to my pension. I would be delighted if I can hit a 10% per annum return and am waiting for the magic of compounding to kick in!. As I am paid in € but investing mostly in £stg shares I get a bit disheartened when the exchange rate weakens and sets my portfolio back but that’s life! on the flip side weak £stg should boost the earnings of my £Stg shares! Last year my portfolio returned 5% but when adjusted for weakened Sterling I would have done circa 15%. I think it will be an amazing achievement if you hit your target without regular additional contributions which is probably why I’m a subscriber! Do you have any views on Euro investors buying share in the UK markets? And good luck with hitting your 1.5m goal. Thanks for the very motivating post John. Being 31 and hoping to grow a decent portfolio well before 60, this was really neat to read. If I roughly match your 15% (ambitious of me) I’d have a $2mln AUD portfolio in 18 years, with reasonable annual savings additions. That would be a wonderful result. At 10% pa it would take 23 years, still a very good outcome. Here’s to your next doubling! Thanks. $2mln AUD in 23 years sounds good to me. Hopefully this is not too offensive but ‘are you nuts’? Ha ha, sorry, just had to say that! My read on this is, your return has been ‘market return plus something’, I guess your portfolio has a beta greater than 1, it would be interesting to know an alpha value or a Sharpe Ratio value to show how well your stock picking has contributed, if only I knew what good values should be!. Could your ‘market plus’ return be mostly due to the market positive returns since 2010 and if you take this out you are far from the return you need? I ask this because there are a lot of commentators out there suggesting the market is at a high level, the business cycle is now extended, macro exconomics don’t look great and the market is due to correct. At which point your 100k gets to be less and the years needed to double it gets longer. But good luck 🙂 and honest, I am not some internet ‘hater’, we have emailed before on companies we both held and I do think you do a good job. Just want to post an opposing view. So risk (beta or standard deviation of monthly returns) is lower while returns are higher (mean monthly return). Unsurprisingly then, risk-adjusted returns are also better than the market (sharpe ratio is higher, indicating higher returns per unit of risk taken). As for the market being a tailwind, it definitely has. Total annualised return for the All-Share over five years is 11.7%, well above the 7% which I would expect the UK market to produce over the long-term. The model portfolio has returned 14.6% over the same period. So it’s 2.9% ahead on an annual basis over that period, perhaps weakly implying longer-term returns some 2.9% ahead of the expected market return of 7%, i.e. an expected long-term return for the model portfolio of 9.9%. That’s just below the 10%-15% range I’d like to hit. I would say that hopefully future returns will be a bit better than past returns because that first five year period was the toddler years for my strategy. It had only just got going, and is now more refined and hopefully better than it was a few years ago. But of course only time will tell. As for a possible market correctly, yes you’re right, there could be one. But in the long run that would be an opportunity rather than a risk, since it would allow me to hoover up more good companies at even lower valuations, leading to higher yields and better long-term returns (hopefully). Sorry for the long comment, but you did ask! Thank you John for responding to my cheeky posting! You got me researching. I would say (and I am just an amateur) beta is low and the Sharpe Ratio looks low, I have Morningstar calculate Sharpe Ratio on my portfolio as 1.94 over 3 years. Investopedia suggests values GE 1 = Good, ,GE 2 = Very Good and GE 3 = Excellent. But then I found http://www.win-vector.com/blog/2015/06/what-is-a-good-sharpe-ratio/ which bears out your usage of the ratio as a comparison rather than an absolute value. I learnt something here. Will point 4 be triggered in a systemic correction? Which brings me back to my thought that doubling has a better chance when starting from a corrected market (wish I had started investing in 2010) rather than starting when the market is at a high. The sharpe ratio is just the ratio between excess returns beyond some benchmark and the volatility of those excess returns. So if my sharpe ratio is lower than the All-Share’s then I’m getting better risk-adjusted returns. But to compare my sharpe ratio to that of another portfolio (say, yours) we’d have to make sure we were using the same period, the same benchmark and the same formula. It’s an interesting but slightly academic exercise though, as all I care about is beating the All-Share. On the hoovering analogy, you’ve made a good point. I’m not clever enough to move 100% to cash the day before a crash and then move 100% back into stocks at the exact bottom, so I don’t even try to do that (i.e. any sort of market timing). My hoovering comment is based on the fact that I alternatively buy and sell one stock each month, and that process will automatically lead me into cheaper stocks (hopefully). So if the market tanks then perhaps Unilever holds up in value because it’s a “bond proxy”. I might then sell Unilever because it’s relatively expensive compared to a lot of other stocks that have tanked in the bear market. I might buy a cyclical company with the proceeds from the Unilever sale, hopefully somewhere near the bottom of its cycle (this is just an example of course; I have no idea exactly what I’ll be buying in the next bear market). So that’s step 4 in the process you outlined, selling stocks that are no longer attractively valued (Unilever in this example), followed by step 1 and 2, where I replace it with another good company at a hopefully more attractive (i.e. higher expected return) stock. And yes, doubling is always going to be easiest after a major bear market. Look at the market after 2009. It almost doubled in two years. The trick is to get in at the bottom, but nobody has worked out how to do that reliably (unfortunately)! Very positive and uplifting article. With average luck stock market returns doubles every 15 years in real terms so im hoping for this!!!! But preparing for less so im not dissappounted. But that fact that its possible for people, probably not all, to achive the million £ is just great. Thanks Dawn. I think £1m is a reasonable goal for the average person, assuming they start saving early and invest those savings into the stock market. And of course reaching £1m will gradually become easier “thanks” to inflation, but for the next few decades it should still be a good target to aim for. As someone who reached this number a while ago at age 46 ( not including residential property), I concluded that the single biggest factor was the amount and regularity of investment rather than the investment returns themselves. Maxing the ISA allowance for spouse and self over 15 years and contributing steadily and regularly to available pensions or SIPPS is the biggest single factor. Having said that I think your expectation of a 10-15% return, beating the market and a comfortable 4% yield is likely to turn out to be overoptimistic in my view. Indeed, it is exactly what i would expect to see people assuming after many years of a bull market. In my portfolio I assume 8% as a best case. In the last 5 years I have made more than double that on an annualised basis but I attribute it to luck rather than sustainable skill and I am prepared for a similar period of submarket returns in the future..
Also my style is quite different from yours. My expectation of a sustainable withdrawal from the portfolio is more of the order of 2.5-3% rather than 4%. Ultimately I prefer companies that reinvest earnings at high rates of invested capital rather than those that pay out high yields since they are often a sign of a mediocre business that does not have adequate opportunities to grow the business. I also tend to have extended holding periods and to minimise the number of investment decisions I take to not more than 2 a year – has served me well. Finally given the sustainable withdrawal assumptions above, I do not think £1m is quite enough to live a “millionaire” lifestyle. £2m ( under your assumptions waiting another 6 years for a doubling) would get one closer to the stereotypical cushy lifestyle. In my case I suspect it will take me 7-8 years to get there including a pretty severe bear market at some stage. Any sooner and I will be pleasantly surprised ! SAVINGS VS INVESTMENT RETURN – I think both are important. However, if savings are high then of course those savings are going to be the dominant factor in how quickly a portfolio can reach a million pounds. But if savings are small (say sub £10k per year) then investment returns are far more important. 10% OVEROPTIMISTIC – I think 15% is optimistic (and said as much in the post) but I don’t think 10% is. The historic rate of return of UK equities is 5% after inflation, or 7% assuming 2% inflation (so quite close to your expected 8% return). So I’m only targeting 3% above the market return, although an efficient market person would say that’s impossible without taking on more risk, which I don’t intend to do. And a 4% yield will be difficult to maintain if the market becomes expensive, but at normal market levels (such as we have today) the portfolio is currently yielding 4%, so I don’t think that’s optimistic either. Woodford, for example, is targeting a 5% yield from his new income focus fund. MILLIONAIRE LIFESTYLE – I have no idea what a millionaire lifestyle is so I have no idea how much it costs! I’m just looking to build a million pound portfolio with a £40k or so income, which is more than enough for the vast majority of retirees (assuming of course that they’ve paid off the mortgage). I think the important point here John is that if it was an investment portfolio for retirement, you would get some gains through a SIPP and start a bit higher, although £1m in 20-30 years is about £600k-£470k in real terms with inflation of 2.5%! Hi Alex, yes a SIPP investor would get the tax rebate boost, which is always handy. I shied away from mentioning any of those real-world factors though because there are so many different ways to set up and run a real portfolio (SIPP, ISA, trading account, different brokers, dripping in new savings or waiting for bear markets, inflation… etc. etc.). So the model portfolio is as simple as possible, but still realistic. It’s basically like an ISA portfolio in that broker fees and stamp duty are taken into account and there are no income or capital gains taxes paid. Inflation will of course have an impact, but I still think £1m in 30 years should be good enough for most people, especially given that most people retire today with less than £100k in their pension pot. With you on all the points but I still feel the target returns of 10% and beating the market by “only 3%” are overoptimistic when applied to extended periods that include a full market cycle. this obviously includes a severe downturn as well as the following boom and I believe is more representative of the range of conditions one is likely to encounter over a 10-20 year time frame. Still, very valid points overall and thanks for the excellent site. I think “only 3%” isn’t the best way to phrase it. My goal is to beat the market by at least 3%, and yes, that’s quite an ambitious goal (but I don’t think it’s overambitious). I could have set my goal at a less ambitious 1% or 2%, but I’d rather set a difficult (but technically possible) goal and fail to achieve it, rather than set an easy goal and then pat myself on the back when victory comes my way. As for whether or not I’ll actually get 10% per year or more, who knows? I can only do my best and the rest is up to the gods. And thanks for the link. very useful info. Fair enough. Actually I feel having targets for beating the market is not particularly useful as the majority of the variables are outside an investor’s control. What matters is the size of the portfolio at the end of the day and whether it is sufficient to meet one’s needs. If I look at my portfolio records going back to 2002 covering the entire market cycle, my total rate of return is 10.1% per annum vs a FTSE total return of 8.3% per annum. Given that for the first 7 years or so I didn’t really have any sort of coherent strategy and was trading randomly ( only clear in hindsight – I thought at the time I was beating the market), I think it is a reasonable outcome. Looking forward the reason I use an 8% figure is to recognise that we are starting from globally higher valuations than 2002 so returns in the next 15 years may be less promising. Having said that I don’t restrict myself to UK investments, am probably a better investor etc so a higher outcome is possible. Whether or not I beat the market in earning 8%+ is supremely irrelevant at this stage. 8% is definitely a sensible number. As for the importance of beating the market, it’s a personal matter that depends on the individual and where they are on their investment journey. And I agree, as long as you get the outcome you want, that’s all that really matters. Lots of interesting points left! I will add my twopenny worth for what its worth! I’m a subscriber for a number of years and I like your methodology and have been quoted by you as Gareth H. As a promotion of your blog, I think your posting is great, but I would like to add a touch of reality to it, which is based on a conversation I had with a mid 30’s person about 2 years ago, which i will come to later! Your target of £1M is quite an admirable over such a short time period and I wish you luck with that. If it takes you 30 years, I’m not sure i will be around to see you achieve it, as I’m just coming up 60, but if you make it in 20 perhaps I will see you do it! As I said, the objective to achieve the rate of return you are targeting is admirable. I mentioned earlier a conversation I had approx 2 years ago with a mid 30’s friend of my daughter. He is targeting a £1M portfolio to retire on and was intrigued when I said I had already achieved that, but said that he should lift his target to at least £1.5M to £2M. My answer of course was to provide a sufficient income taking into account the ravages of inflation, as above. By the way, my long term annual achievement which stretches all the way back to 1983, way before the sort of information was available today and charging structures for investing, is 8.2%. I just checked my last annual returns since the beginning of 2013 and it is 10.8%, if I push it back a year to beginning of 2012 it is 13.44%. So it is interesting how time in the market and the effects of Mr Markets cycles can effect one. I assume of course that your personal portfolio is not based on £1M. INFLATION AND OTHER REAL WORLD FACTORS – I deliberately left these out as it’s all so subjective. Instead I decided to stick with a clear and simple £1m target which I think is potentially achievable within 20 to 30 years. Also, even taking inflation into account at 2% or so, a £1m retirement pot would be far above average even 20 or 30 years from now (the current average retirement pot is less than £100k, while my retired parents have a retirement pot which is way below £250k and they have a more than comfortable life). The question of how much someone needs to retire is entirely subjective. Some people can live very happily on the state pension while others are miserable with multi-million pound incomes! But on balance I still think £1m in 20 to 30 years would be more than enough for the vast majority of people. YOUR RESULTS – Over 8% per years is good, I’m pretty sure that’s above the market return (haven’t checked though). The problem with returns is that they’re so variable. Even over a 30 year investing lifetime, one 30-year period can differ enormously from another. But unfortunately we can’t choose which 30-year period we get to invest in! John- Good story — perhaps you could move on a sideline and do a bit of motivational speaking. Heh anyone can come across as more inspiring than some of the ex politicians no? That’s it, I’ve decided to up the game and am now shooting for £5M as a goal. I’m starting with £50 and a new pair of specsavers. In a first attempt to get it moving I bought a chunk of Next yesterday on the 6% drop. Games — must get some tints on those lenses as the future is so bright!! Have just read through the John Kingham/Lemsip dialogue, belatedly, but with much interest. I think the point missing or not explicitly stated about value investing (as I understand it anyway) is that the macroeconomic forces Lemsip is so preoccupied with are not the focus of decision making fora value investor. These are simply ignored because they are unpredictable and you do not have any control over them The true value investor focuses on what they can making the best stock pics by finding and buying into the best companies for investment and then holding onto the stocks.. Gains of more than 10% certainly have been made via this method and small private investors have some advantages over institutional investors who find it more difficult to simply buy and hold because of the quarterly time horizon. Based on the returns you have posted it certainly seems to be going very well. I guess the 1 M target is a way of focusing your efforts more than anything else because as I understand it your 50k seed money is a notional figure. If you can avoid the stupidity of lifestyle inflation which Weenie talks about so well in her pages I guess a 300k retirement pot is as good as a feast. Good luck to you. Hi Peter, you’re right. Most value investors (self included) look at the micro picture of companies rather than the macro picture of the wider economy. Neither is right or wrong, they’re just different ways of thinking about the same problem. To be honest the debate between Lemsip and I is a bit academic anyway; I will be happy if I can get 10% per year while he’ll be happy with 8%. So far we’re both happy, so that’s good! As for the £1m, you’re exactly right. It’s just a way to focus my mind for the long journey ahead and it’s a virtual £1m anyway. In the real world I’ll be financially independent long before my portfolio hits the £1m mark, although I don’t expect to stop working when I reach that point as I enjoy what I do. One point that really interests me about your investment approach is the high (?) turnover of stocks. Interested in this because you are a value investor and another well known value investor advises that the best time to sell stocks in ‘never’ . There is also Fishers 3 yr rule. where he maintains that you cannot assess the performance of a stock in under this time.. I may be a value fundamentalist but this does not seem congruent with the core principles? Hi (again) Peter, that’s an interesting point. My answer is no, I don’t think a holding period of “forever” is a core principle of value investing. Value investing is about holding attractively valued stocks while holding stocks forever is core principle of buy-and-hold investing. For example, I think company A is attractively valued at 100p so I buy its shares. Over the next year the price increases to 500p, at which point I think it is very overvalued and likely to generate poor future returns. As a value investor I do not want to hold overvalued stocks, so I sell after just 12 months. Buying “quality” companies and holding them “forever” is buy-and-hold or quality investing, not value investing. Of course, there can be some overlap, but they’re not the same thing. As a counter example to Fisher (or the “quality” side of Buffett), Ben Graham typically sold stocks after 2 years if they hadn’t reverted to “fair” value. Or the Magic Formula, which is a quality/value strategy, also suggests selling after 1 year if the company’s combination of quality and value is no longer attractive enough. Also, I don’t think my turnover is particularly high anyway. My turnover rate is 20% per year (6 stocks sold out of 30 each year), which is low relative to investment funds (the Investment Association quotes a turnover rate of 40% for the average fund). A 20% turnover rate equals an average holding period of 5 years, which isn’t exactly short. However, my main point is that value investing is not buy-and-hold investing; instead, it’s a buy-low-sell-high strategy. Thanks for your clarification. 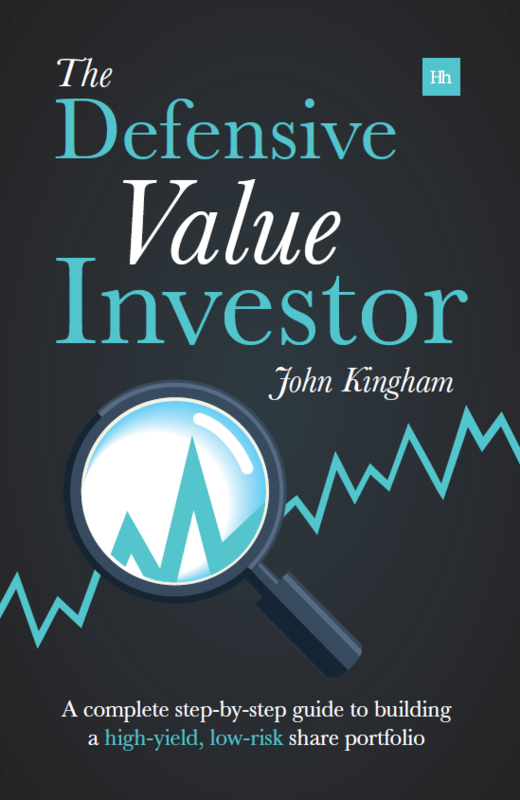 It seems there are overlapping terms and people using the same terms to mean different things, In my beginners guide (Glen Arnold FT guide to Value investing), Buffet is referred to as a ‘value growth investor’ and Fisher and Graham as ‘value investors’. The words ‘quality investing’ do not arise as a key term although it is made clear that the goal is to select quality stocks. It came as a surprise to me that your Grahamite approach means (in my perception anyway) short term holding of stocks and high diversification. as I thought this was outside the ball park of value investing. As you rightly say its the end result which counts. The interesting thing for me as someone just learning to understand the rudiments is that widely different approaches can all be successful; which makes it hard to select an investment style. I’m guessing that having a coherent plan and sticking to it is probably more important than what the plan actually comprises of, assuming the plans being considered are sensible ones.. Yes, and also that the plan is something you can execute over many years without getting bored/tired/scared/etc. I think active investing should at least be engaging, interesting and even enjoyable, otherwise some sort of passive tracker might be more suitable. I just realized My ideas about turnover of stocks are based on a different context to yours so I have been missing the obvious… Because I hold 12 stocks six trades a year would mean changing my entire portfolio every two years which would be a high turnover. Conversely with the 30 you hold you are turning over your individual holdings every five years. I know that fund managers in general have a much higher turnover than yourself but most fund managers are unsuccessful (partly because of churning in my opinion) and produce returns below the FTSE average. 12 is very concentrated in my opinion, but yes, if I held 12 stocks I would only replace perhaps two or three stocks each year rather than six.
. I suppose information overload is a problem for me at the moment. There are lots of good investors who know more than me and have strategies which are well thought out and available to read. This is in many ways helpful. But, of course, I cant follow every piece of advice or keep changing my mind about what I am going to do. Regarding diversification I have not mentioned that I am going to diversify to 15 soon. and also have other investments outside the portfolio I am discussing. I suppose I tend to enjoy investing when its going well. The North Korea thing is spooking me at the moment but am determined to sit on my hands and stubbornly stick with my 3/5 yr plan! The Phil Oakley book looks interesting but am a little scared of reading it in case it throws up doubts.. From peering cautiously inside whilst browsing Amazon I did notice some overlap with my existing choices which was a little reassuring ! Remember that you are right or wrong because your analysis is right or wrong. Not because other people agree with you (e.g. Phil Oakley’s book). Also, in my experience active investing is something you can only get good at by making lots of mistakes, which is why diversification is so important, especially in the early years when you (probably) don’t know what you’re doing. I’ve certainly made a huge number of mistakes, but each mistake is an opportunity to learn and improve, so that future mistakes are smaller and less frequent, while successes are bigger and more frequent. But it takes years, at least it certainly has for me. But if you enjoy it as well then it’s all time well spent. Thanks for your comments. I hope I don’t flatter myself in saying I might have got some of those mistakes out of the way. The biggest problem I’ve found in hunting for value, is that value is usually priced in to quality stocks already, so finding a good value stock is as hard as finding a good second hand car for 40% under the book price. When I first read about ‘Scuttlebutt’ as a way of making decisions about companies, this struck a power chord for me. Its something I value more than metrics because a share can look good on paper but be held in a declining industry or sector. Or there can be other real world/common sense factors which are not being seen. At the moment I can’t foresee a time when Microsoft products will go out of use (though there is never any certainty). But, I’d be less confident about the products being churned out by Unilever and Reckitt,even though the companies might look good on paper. One of the ways I learnt this (though unintended) was by working on the factory floor for a large well known producer of processed foods. I was quite literally sticking labels on cans or running a machine for doing this. This company at the time had a massive recruitment drive (although the existing employees seemed to have little to do except complain about what a crap their employer was). This company was borrowing very heavily and had optimistic plans for expansion. This was at a time when many people were moving over to home cooking and baking under the influence of a plethora of TV programs. Its now a zombie company which just about services its debt and pension commitments. It has an attractive seeming P/E but its definitely a cheap for a reason stock you would do well to avoid. Maybe you could work undercover in a warehouse belonging to the company you plan invest in before committing your cash. Not very practical I’m afraid with a portfolio of thirty; though it might be fun to get a new undercover job every two months to sample each prospective company. If that seems too grueling at least we have the internet. Interesting idea about doing undercover research! Not quite my cup of tea though. I like cold hard numbers and always have, so I’m going to say no to working on the night shift at M&S! Having said that, your basic point of not relying on low PE ratios is very sensible. That’s why I suggest looking at all manner of other things, especially debts, pensions, profitability and acquisition history. Looks like I’m on my own with the Scuttlebutt then. A long time ago I spoke to a Zen Buddhist master who was said to have attained enlightenment. I asked him what the condition of enlightenment was actually like and he replied that it was ‘rather boring’. I became FI recently (not as a result of stock picking!) and would describe my condition in exactly the same way. Maybe I will follow my own advice and get a job. Hi Peter, not entirely alone – There are lots of scuttlebutt investors out there. As for FI, it’s a big topic but if you find it boring then I’d say some sort of structured work or hobby is definitely a good way to go. Your target of +3% outperformance is nearly 150% of the historical 7% you quote, which is really quite a big outperformance. How does your method actually target this? It seems from comments above that you could just as easily say +2% or +5%, but would that make any real difference to how you operate the portfolio? 3% IS A GUESS – I came up with this 3% ballpark figure years ago. It was based on three sub-guesses: 1) That the portfolio would have a yield about 1% higher than the market, 2) that the portfolio would invest in companies that could grow their dividends 1% faster than the market and 3) that the portfolio could gain an additional 1% per year from gently churning stocks, i.e. buying at low valuations and selling at higher valuations. It is nothing more than a guess but has so far proved to be surprisingly accurate. Whether that remains the case is of course unknown. 3% IS NOT DERIVED FROM THE OUTCOME I WANT – I want the portfolio to have a higher yield than the market, higher growth and less risk, but I don’t put any particular values on what I want because I have no idea what returns the portfolio or the market will actually achieve. I just want “better” performance across those measures and try to get the best results I can (or more accurately, I try to build the best investment process that I can). So no, the 3% is not derived from the outcome I want. 3% DOES NOT DRIVE THE OUTCOME I WANT – I also don’t try to achieve 3% per year of outperformance. As per the previous point, I just try to build the best investment process I can with the the intention of achieving the previously stated goals (more income, more growth, less risk) and then let the chips fall where they may. If I get 2% per year, so be it. If I get 20% per year, then of course that’s better (but unlikely). Psychologically, I think I would be mildly disappointed if I couldn’t achieve something like 3% outperformance per year. I have put a lot of work into developing my investment strategy and I would be a bit peeved if it only resulted in small gains relative to a passive index tracker! Overall, I quite like reading your analysis & have your site bookmarked. However, I feel that I have a moral obligation to younger people to challenge one of your statements. 1 My brokers charge about £10~13 per trade. I believe you can get it down to £5 or less, but even at £10, I would suggest the minimum trade size for an infrequent trader is £500~2000. At £1000, the fee amounts to 1%, which is nothing if you expect the stock to grow over a 5 year holding period. 2 Anyone earning & saving every month should start learning with a small portfolio, perhaps as little as £3~5k. They gain experience & if mistakes are made, there is new money coming in. 3 Concentration is perfectly OK if you are starting out & putting new capital into the portfolio every few months. In about ~2000, I had 50% of my portfolio in breweries & 0% in tech stocks. Breweries were out of fashion, but as far as I could tell, drinking was not. 4 For reference, here’s a copy of my portfolio in 2002. If I’m not mistaken, BAA, Hardys, Jennings & Lex were all subject to takeovers. The 2 Asian funds ticked up nicely & C&W was a dog. The formatting has gone to pot, but I outperformed the index, gained a load of experience & even on a £14k valuation, there was enough scale to make trading fees almost irrelevant. This year, my stock portfolio just made it to 7 figures. I’m just an engineer, working for a big company in a non-managerial role. Hi J, that’s a good point. I think a £50k minimum is a bit excessive. I may have thought that was a reasonable minimum in 2011 but not anymore. I think about £1k per position to give the 1% broker fee you mentioned (i.e. £10 broker fee = 1% of £1k) is sensible. So a 1% fee on purchase and 1% on sale = 2% over perhaps a 5yr holding period. So on that basis my current 30 holding portfolio would require £30k minimum. If an investor was desperate to get into stocks then perhaps they could hold a more concentrated portfolio of 20 stocks, giving a £20k minimum, or perhaps they could accept a 2% buy and sell fee (4% over the lifetime of the investment). That would give a £500 position size and a £10k minimum for a 20 holding portfolio. Possibly. I think each investor starts out from their own unique position, so what they should actually do is very hard to say. Everybody starts with different amounts of money and different knowledge and behaviours, so it’s hard to say. But yes, starting out small, even if that means being inefficient in terms of position size, is probably a good way to get started for lots of people. Personally I started out with funds for about a decade before getting into stock picking. That’s probably why my default “advice” is to build up a fairly substantial portfolio through index trackers before even thinking about individual stocks. 3 In ~2000 I had 50% of my portfolio in breweries & 0% in tech stocks. Breweries were out of fashion, but as far as I could tell, drinking was not. I still don’t like concentration. The problem is that in your case you were right and your investments worked out well. But inexperienced investors (which is what we’re talking about) are usually wrong. So it’s more likely that they would have been concentrated in tech stocks in 2000 and therefore would have seen their portfolio decimated in the dot-com crash. That could lead them to conclude that they should be in index trackers, or that equities is not for them at all. I would rather see inexperienced investors start out at the low risk high diversity end of the spectrum and increase risk and concentration as they become more experienced. And well done on reaching 7 figures; perhaps one day my model portfolio will join you there! I think concentration is perfectly OK in the first couple of years of running a portfolio. Anyone who is just starting out, has a job and new capital flowing in every month can start off with a £1000 position in one stock, then perhaps have 5~6 stocks after a year or so. Even a bias to one sector is fine, as long as the downside is minimized. The point is, even if losses are made on a couple of positions, it’s a small amount of money and there is new capital coming in the following year & the year after that. So over time, the risk is reduced. I would be more wary of concentration with a large portfolio for people who have stopped working. There is more to lose & no new capital flowing in, although of course, there is the benefit of more experience.